Did I tell you I was participating in Ms Midge’s latest Charm Swap? 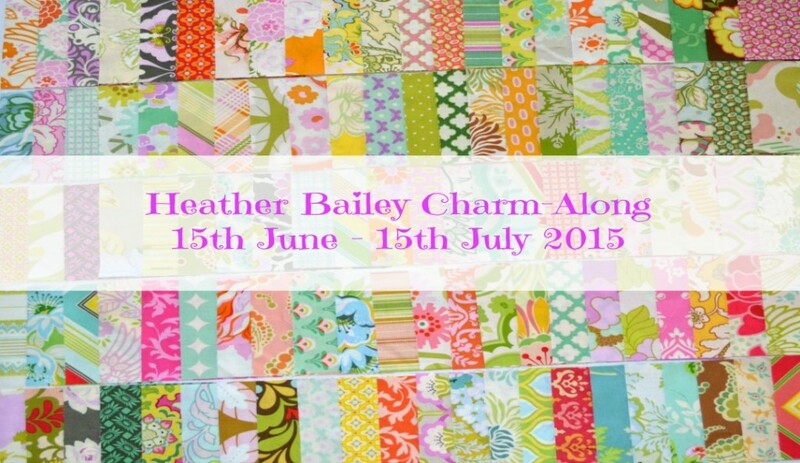 This time round we’ve swapped Heather Bailey Charms. 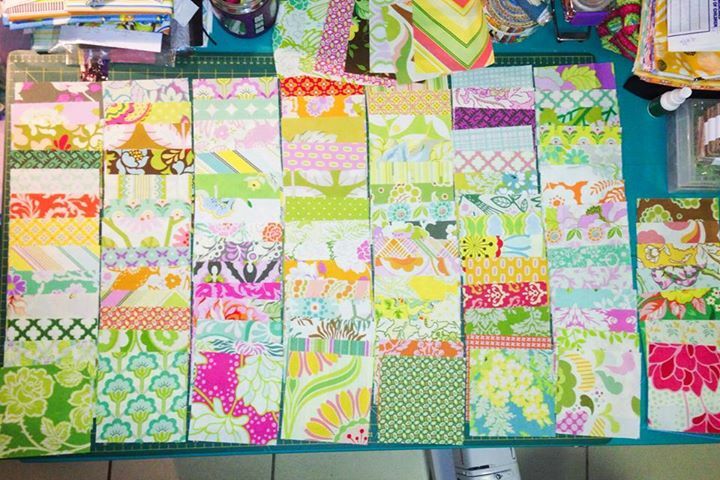 Ms Midge’s Heather Bailey Charm-Along kicked off this week, and I have a fantastic plan for these babies!! I have a little quilt top finish to share today! 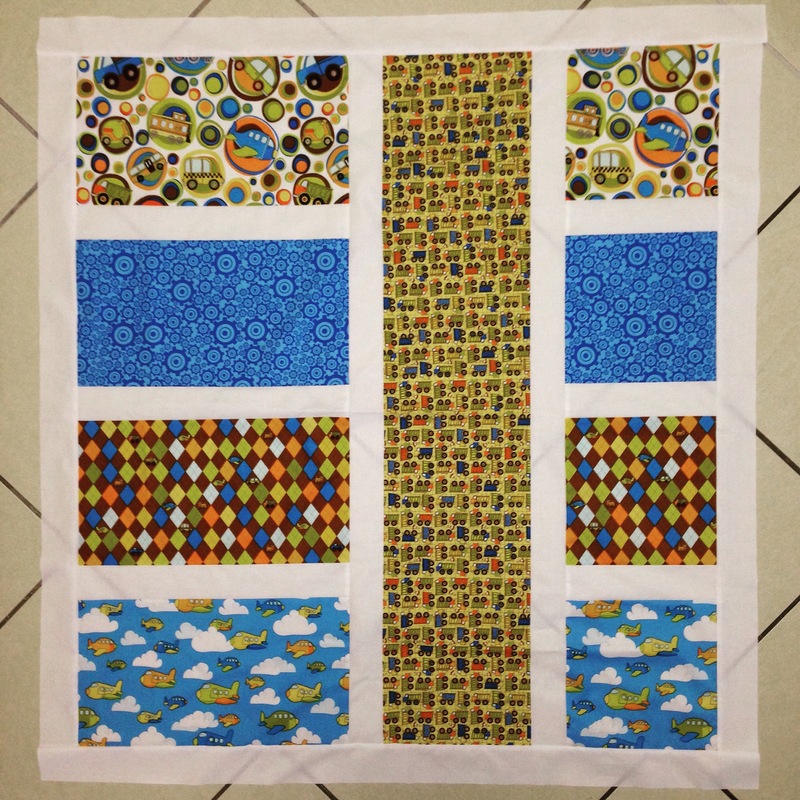 I have been Quilting Along with Nanny Margie and this is the top! It’s a sweet little cot-sized baby boy quilt! After I get this Charm Along done I am going to be strict with myself and get a couple of UFOs finished. I should also have a clean out and destash a few fabrics. I swear I could almost start a fabric shop! I have felt a little lost this week – this post was written days ago but I have had issues with my WiFi and printer … I was trying to set up my new printer and while uninstalling printer ‘stuff’ accidentally uninstalled something important 😦 eeekkk … Thankfully I have a fantastic Computer Wiz who sorted it all out for me! I’m working allllll weekend long, but I really hope you have a great weekend! ← Kate’s First Top 5 – Blogs! Those Heather Bailey charms really are gorgeous! I can’t bear cutting into charms if they’re that gorgeous, so I’m looking forward to seeing what you do with them.